The Olympics commence in PyeongChang, Korea, on Friday and it had me thinking about the parallels between sports and music. My whole life has been steeped in the classical music tradition, and while my siblings and I did try other things (between the three of us, non-classical music pursuits included foozball (remember Chandler and Joey’s apartment on “Friends”? ), photography, chess, figure skating, ballet, acting, and of course, music-related activities such as high school band and choir. One sibling took up long-distance running; otherwise, sports was pretty much non-existent except what we learned in school. My parents had no interest in sports whatsoever. I try to be philosophical about the overwhelming popularity of sports in North America. The market for sports is simply bigger than for classical music, so why compare? Also, learning sports at school is an important part of one’s education, so why bring home the message that art is more important? Shouldn’t sports and the arts be considered equally valid? Sports teaches you fitness for a start, along with team work, discipline, communication, physical coordination, how to deal with injury, and managing the disappointment of losing. I could have used this coping mechanism when I didn’t receive first place at the Kiwanis Music Festival. 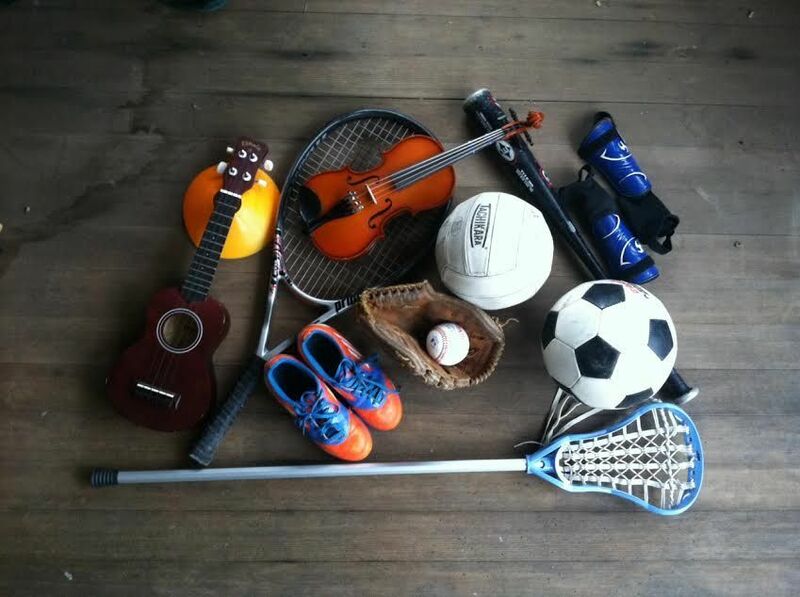 Sports and music are not mutually exclusive, either. The explosion of popularity among non-opera aficionados of Placido Domingo, Jose Carreras, and Luciano Pavarotti – The Three Tenors – was thanks to the 1990 FIFA World Cup Final in Rome, which took place the day after this historic performance. That recording became the best-selling classical album of all time. Musicians and athletes both demonstrate physical prowess and artistic excellence, especially in the “presentation” types of sports like figure skating, ice dance, synchronized swimming, and rhythmic gymnastics. And I’m sure a lot of hockey fans would consider a hat trick a work of art. During the Olympics I’ll be chatting with some of our hosts about the comparisons between athletes and musicians. Stay tuned! Tenors Placido Domingo, Jose Carreras, and Luciano Pavarotti, and the Maggio Musicale Fiorentino / Teatro dell’Opera di Roma orchestras, conducted by Zubin Mehta, join forces for Puccini’s “Nessun Dorma” at the 1990 FIFA World Cup in Italy. This sporting event began “The Three Tenors” craze.